The death in August of Sen. McCain at age 81 deserved attention, as he rose to the highest levels of American politics. I wouldn't ordinarily associate him with a musician who wallowed in the mire of the dissolute rock lifestyle and died at 27. Morrison died in Paris in 1971 while McCain languished in a North Vietnamese prison, wracked by torture and isolation but bolstered by an iron sense of loyalty to his fellow American prisoners. However, McCain and Morrison shared the personal history as sons of admirals, sons who chose different paths in life. Their fathers, too, had to deal with traumas involving their sons. How did those complex father-son relationships play out? Due to the admiral’s career, the Morrisons were always on the move. By age four, Jimmy had already lived in five different places, coast to coast. Since his father was gone for long periods, his mother Clara became the disciplinarian. Jimmy grew rebellious. Returning home from duty, his father, accustomed to thousands of men obeying his command promptly and without question, had no patience with his first son’s insubordination and backtalk. He spared no effort trying to get the boy on the straight and narrow. "We look back on him with great delight . . . The fact that he's dead is unfortunate but looking back on his life it's a very pleasant thought," George Morrison says in the book. Jim Morrison, a difficult teen who rebelled against his father's military lifestyle, went on to become one of the most magnetic performers in rock 'n' roll. But he disowned his family, and once made a throwaway comment that they were dead. He also referenced his parents in the Oedipal rant “The End,” singing that he wanted to kill his father and sleep with his mother. Adm. Morrison outlived his prodigal son by 37 years. Unable to work things out in life, the father did what he could in the decades that followed. The Morrison family paid for upkeep of Jim’s grave in Paris, and Adm. Morrison “traveled to Jim’s grave in Paris and installed a plaque of his own making. Translated from Greek, it reads: True to his own spirit.” The Greek said: ΚΑΤΑ ΤΟΝ ΔΑΙΜΟΝΑ ΕΑΥΤΟΥ. Like Adm. Morrison, Adm. McCain did not let family issues override his military orientation. He ordered the April 1972 bombing of North Vietnam, including the Hanoi area where his son was held prisoner. 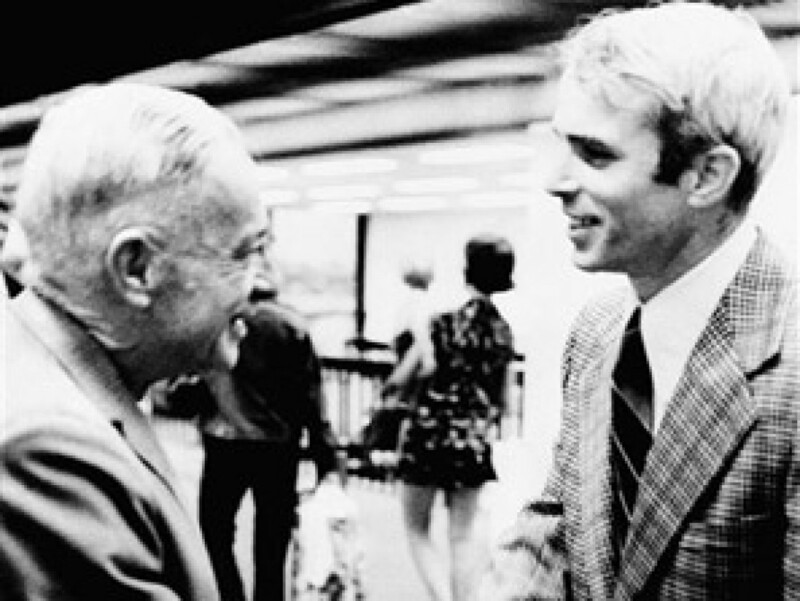 Ultimately, after the Paris peace accords, Sen. McCain was released in 1973. 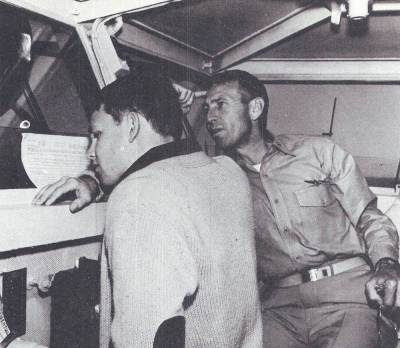 “You could see there was genuine fondness between them, and maybe in part because of the family commitment to the war, they were absolutely focused on winning,” John Abrams said, speaking of the relationship between his father and Admiral McCain. McCain, however, did not speak of his son’s captivity. “He would never show his emotions like that,” Abrams told me. I wonder how a meeting between John McCain, the Senator, and Jim Morrison, the Lizard King, would have gone; they never met in real life and for all I know never knew of each other's existence. Fate had other plans for both of them. But had the fates decided otherwise, I like to think of McCain and an older, sober Morrison getting together to talk about their naval upbringing, their hard-charging fathers, and their lives in public service and public entertainment. They'd share some laughs and reflections, argue about politics, maybe listen to Doors albums and then go sailing on the ocean blue.